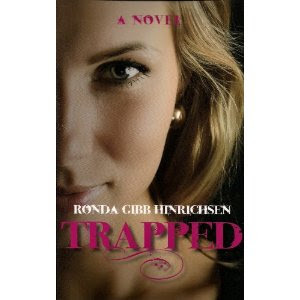 Today's book review is Ronda Gibb Hinrichsen's newest release, Trapped. Her expression remained somber, but excitement crept into her voice. "You are the Firstborn She...You must go to them." "You want me to act as bait?" "Not bait, Emi. A spy. Our Trojan horse." When Emi Warrin wakes one night to find a thief in her mother's house, she has no idea the intruder has planted a trap - a mysterious letter that will change her life forever. Lured to the Austrian Alps with Daniel, the man she loves, Emi is thrown into a perilous, mafia-like world of feuding families and a devastating curse that spans generations. As the Firstborn She - the only firstborn female in hundreds of years - only Emi can free her family from the curse that will soon afflict her as well. But for Emi to break the curse, she must delve into evil designs. As Emi struggles to understand her destiny as the Firstborn She, she learns that everything isn't as it seems and that all choices have consequences. Can Emi break the curse before it's too late? After totally loving Ronda's first book, Missing, I was ready to dive into Trapped. I was so excited to see how her next book would turn out. Overall, I thought it was . . . okay. There were definitely things I liked and didn't like about Trapped. The first two chapters pulled me in. The prologue with the premise of the story, the curse that was put on Emi's family, was excellent. I couldn't wait to get into the first chapter - which I also enjoyed. After that, things slowed down quite a bit. I liked the setting in Austria. I was also happy to have gotten a few surprises - especially about who the Big Bad Guy turned out to be. I liked the fight climax and the struggle Emi had to go through, both emotionally and physically. But for the rest, I was actually kind of disappointed. 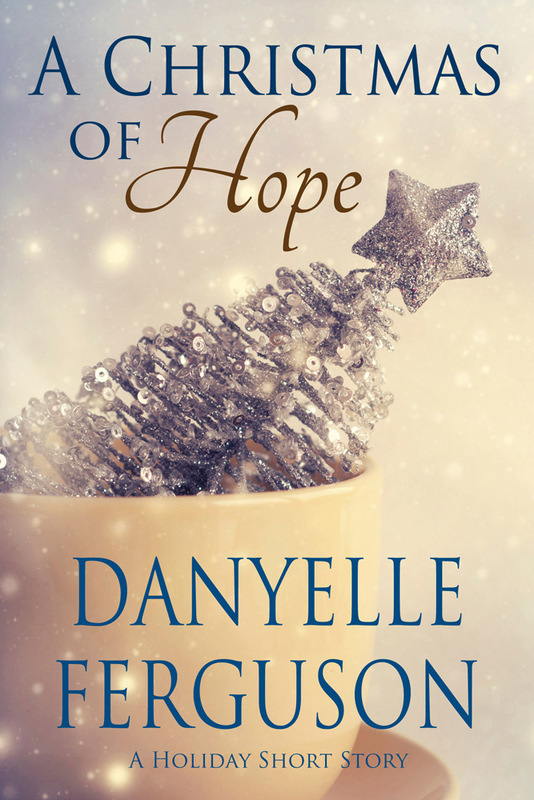 I wasn't as into the characters as I was with Missing and there were only a few moments I felt that "on the edge of my seat" feeling - or even much of a romantic connection between Emi and Daniel. There were a few scenes when I thought the reactions were unrealistic. One in particular, Emi - who we're told has been very sheltered and protected by her mother all her life - finds out her father is alive and in Austria. Her mother is in Greece at the time she discovers it. Emi texts her mother to say she's going to Austria to find her Dad - really in hopes her mom will come clean and give her more details. Instead, Mom texts back that she's had her travel agent make all the arrangements for Emi to fly to Austria and Mom will meet her there. To me, that doesn't sound like the kind of thing an over-protective mother would do - even if she did tell Emi that Daniel was going with her. If I were her mom and I knew the evil guys were tracking down my daughter, I most certainly would not send her into the the lion's den without me by her side and a whole heck of a lot more information and preparation. The very last chapter of the book completely confused me. I've read through it three or four times since finishing the book. Emi has a vision, something that relates back to the first chapter, which supposedly clarifies things for her. But I didn't understand it at all. I couldn't figure out who a few of the people were in the vision and why it ended the way it did. So I'm still stumped on that. Having said all that - it seems there's more negative than positive. But actually the book was pretty good. For me, it rated on an okay scale. I would be interested to hear how others liked the book. So please, if you've read the book, leave your thoughts here so my readers can get more than just my thoughts! Would I read Ronda's next book? Yes, I would. I thoroughly loved Missing. So I'll still pick up her next book and hope it's as awesome as her first. Thanks for the review, Danyelle. Very honest and thorough review. Thanks! I think the book sounds intriguing. I haven't read the book yet, but it's on my to-read list this summer. Oh that is so funny. I felt the complete opposite, Danyelle! In fact, I'd shared with my family how much more I'd enjoyed this book, even more than I'd enjoyed Missing. How I felt that things wrapped up better in this book, how the characters were more dimensional, how the plot was so better done and much more seamless. In fact, overall I thought Ronda's growth as an author shone through dynamically and in an exciting way in Trapped. Isn't it funny how we can each have our own perspectives after reading the exact same book? 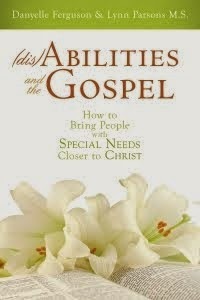 I found very few parts that I skimmed in this book, which is always for me a sign of "well done." If Ronda's first book, Missing, were given a grade, I would have given it a B...which is pretty good for a debut novel. If Trapped were given a grade, I would have given it an A, for all of the above reasons. It's just so interesting to see people's perspectives, isn't it? I'll be posting my review shortly and I'll have to come back and include the link to continue the discussion! I just finished Ronda's book and your review was spot on. There were exciting spots and confusing spots but the middle fell flat for me. I also had a hard time getting into the vision/curse stuff but went with it. Other than that, the plot worked but had slow spots. The setting was great. I have not read Missing so it might be interesting to compare the two. Thank you everyone for joining in the discussion! And yes, Cindy (C.S.) you are totally correct - everyone has different perspectives when they read a book. What I totally love, may not be a book someone else will feel the same way about. That's why I really wanted to hear what others thought about Trapped as well. Thank you for sharing what you really enjoyed about the book. And thanks to everyone else for sharing or letting us know if you planned to read Trapped.